Add the Primo GO, and the Oval JR 200 grill surpasses all other portable ceramic grills with 210 square inches of cooking area. Add the Optional Rack System and the cooking area soars to 360 square inches. That’s more than twice the cooking area of the second largest portable ceramic grill. 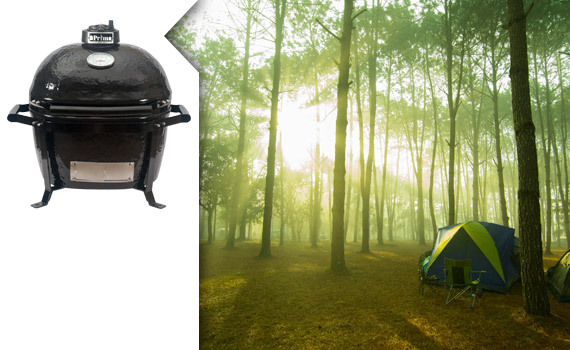 Grill, bake, roast or smoke for 10 or more people wherever you want to go. * Up to 360 sq in with Optional Rack System 210 sq. in. KamadoJoe JR 149 sq. in. Big Green Egg Small 133 sq. in. 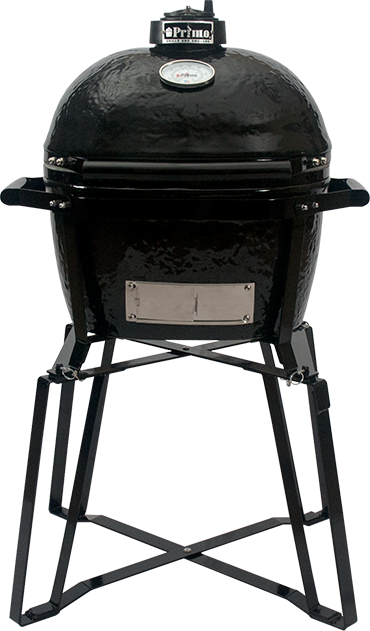 Big Green Egg MiniMaxEGG™ 133 sq. in. Grill Dome with Kamagater 123 sq. in. Louisiana Grills K13 95 sq. in. Vision P Series 87 sq. in. Big Green Egg Mini 79 sq. in. Primo GO is ready for your tailgate party, whether you sit the Primo GO on the tailgate of your truck, on the ground, or in the optional GO Base it's ready for the big game. Take the Primo GO with you on your next outdoor adventure whatever your destination may be, separate the Primo GO from the GO Base for ultimate portability. The Primo GO is a fantastic addition to your back deck too. The JR 200 has 210 square inches of cooking space to feed your family. 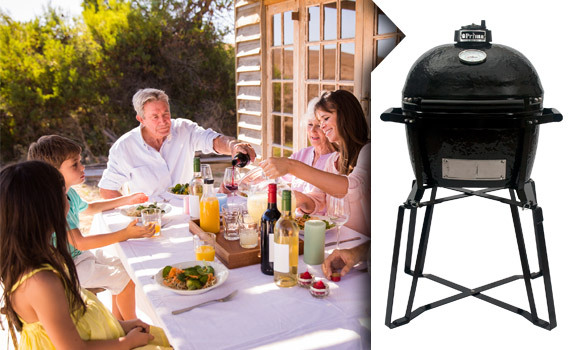 The largest portable Ceramic Grill with BIG features. 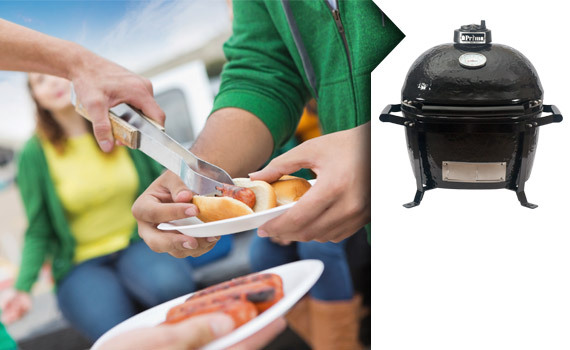 GO With the Largest Portable Ceramic Grill Available, with 210 square inches of cooking area. Add this accessory and the cooking area soars to 360 square inches. That’s more than twice the cooking area of the second largest portable ceramic grill. Cook for 10 or more people wherever you want to go, there's plenty of space to cook for your small army. A two-piece cradle and base that offers portability and at-home use without the need for a grill table or cart. Easily detach it from the GO Base by removing the four pins for maximum portability. A team of two can easily use the sturdy carry handles on the Primo GO to transport it.